The name is derived from the two bones which form the joint: the upper temporal bone which is part of the cranium (skull), and the lower jaw bone called the mandible. 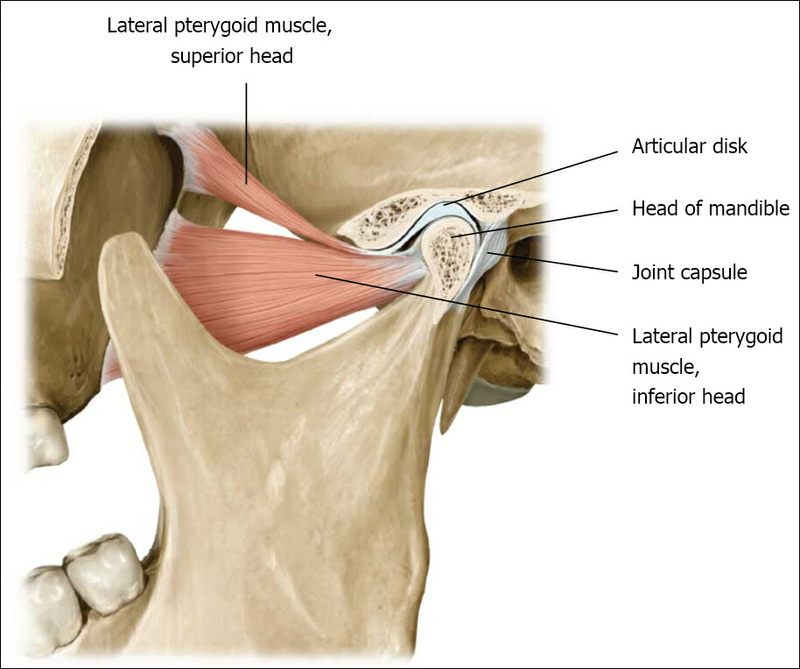 The unique feature of the TMJs is the articular disc. The disc is composed of fibrocartilagenous tissue (like the firm and flexible elastic cartilage of the ear) which is positioned between the two bones that form the joint. ● Place 2 hand-towels in a basin of hot water and place one of the towels around the face and neck. As it cools, swap the towels. ● This is more effective than a heat pack or hot water bottle. ● Provide behaviour modification and counselling.